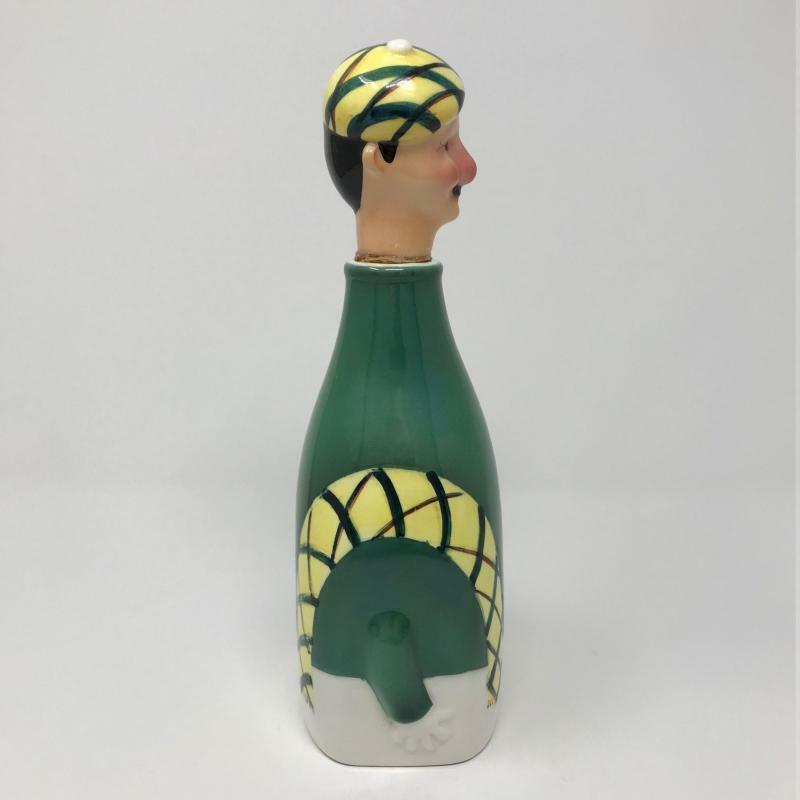 Scotsman Scotch Ceramic Musical Bottle Decanter, 1960's Plays How Dry I Am . It is in excellent condition. 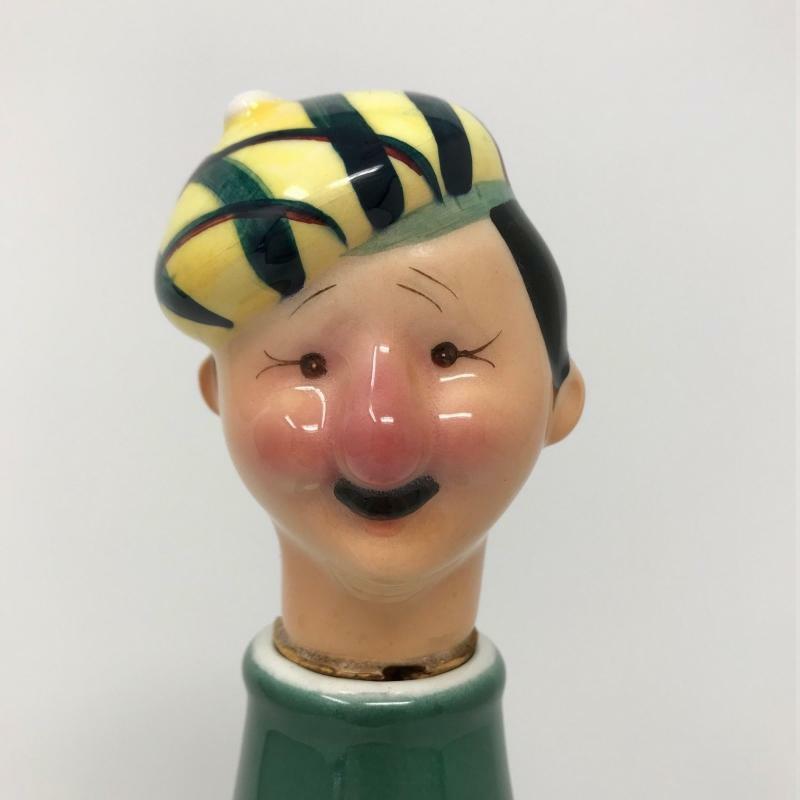 When the music box is wound up it only plays when the bottle is lifted from the surface and stops when it is set back down. Great face on the fellow with his tarten tam and shoulder scarf. No chips, or cracksor and the music box plays well, The cork is in excellent shape. It looks as it it was never used. 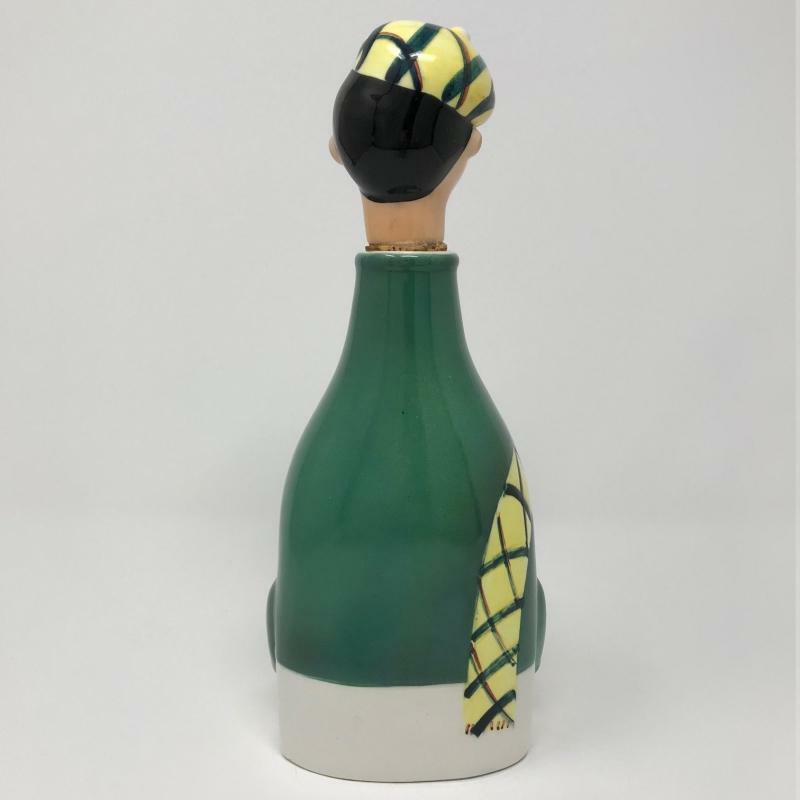 Measures 10.25 inches tall. 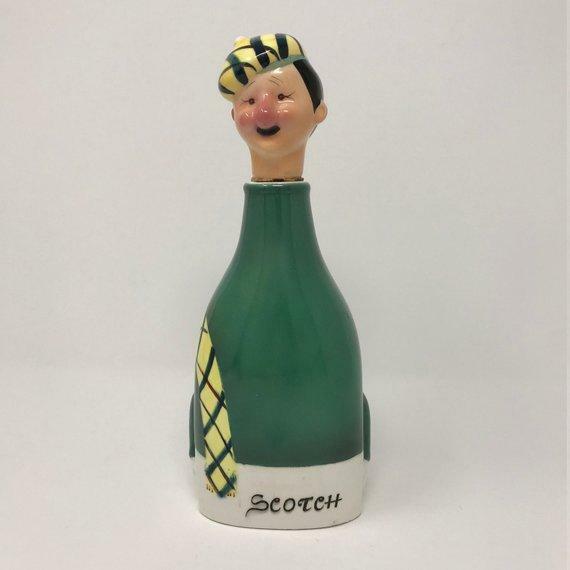 Items Similar To "Scotsman Scotch Ceramic Musical Bottle Decanter, 1960's Plays Ho..."